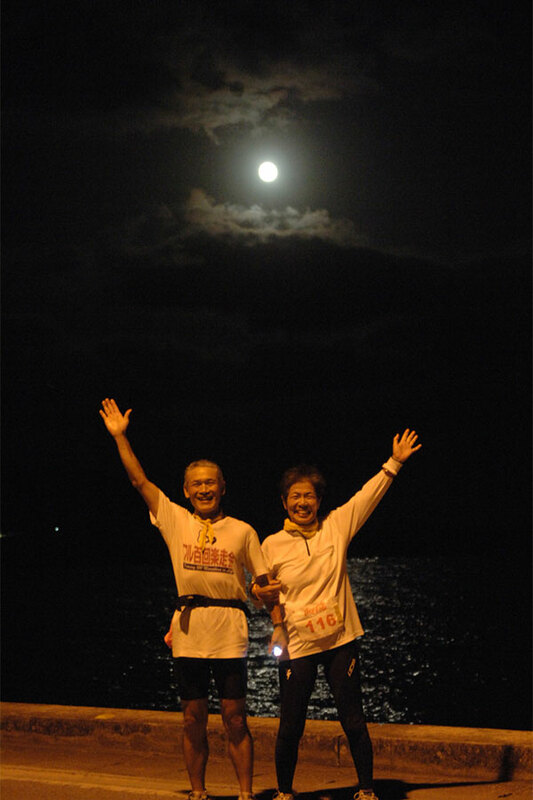 The Iheya Moonlight Marathon takes place in the late hours of the day. Participants can enjoy views of rice fields and the coastline in the first hours, and a beautiful view of the sunset and the full moon in the east after dark. 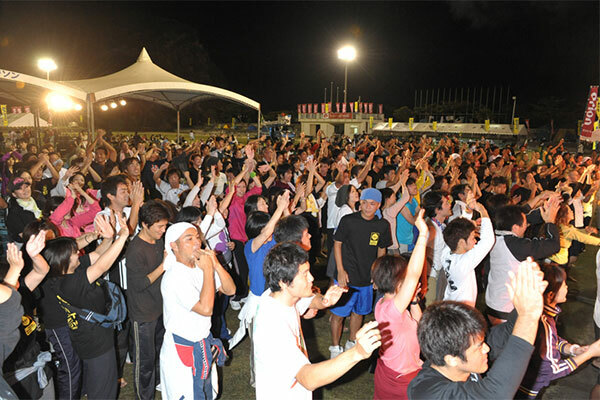 This is a unique race where participants run toward the finish line by following a course lit by the moonlight and penlights. At the ceremonies before and after the marathon, participants as well as spectators enjoy traditional performances, shows and local dishes. The ceremony after the marathon.